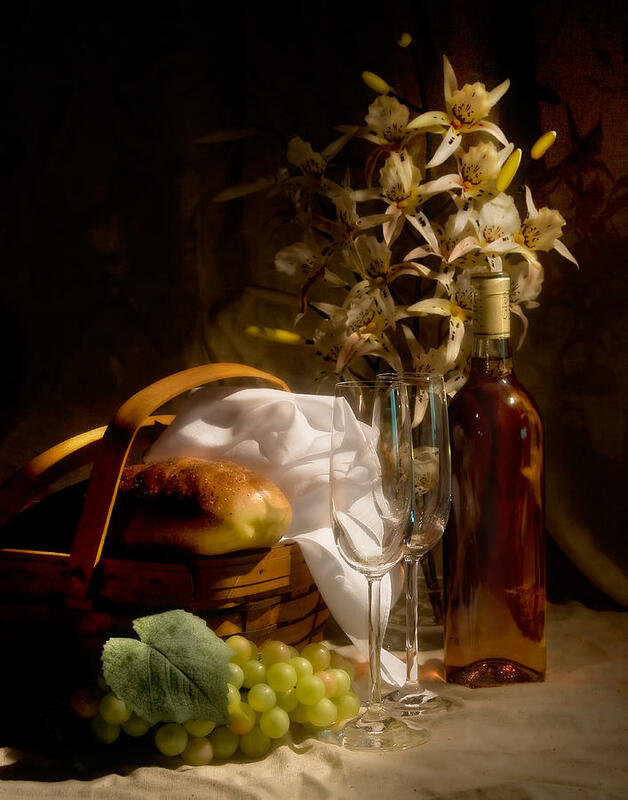 Wine And Romance is a photograph by Tom Mc Nemar which was uploaded on January 15th, 2010. Perfect for a romantic evening. 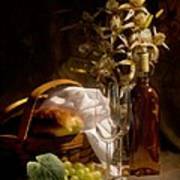 Bottle of white wine, two glasses, basket containing a loaf of bread, white grapes, and an arrangement of white orchids. Basking in the glow of the evening sun. 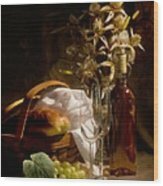 Lovely still life, congrats on the sale. Congratulation on your sale, Tom! 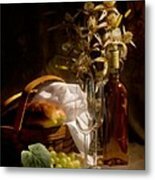 Fantastic still life! the lighting is perfect! Beautiful classic still life! Congratulations! Tom Congrats on your art work and of your great sale!!! Nicely Done! Congratulations on your sale. AMAZING work! Congrats on your sale! Great caption for a great photograph!